change Archives | Ms Moem | Poems. Life. Etc. 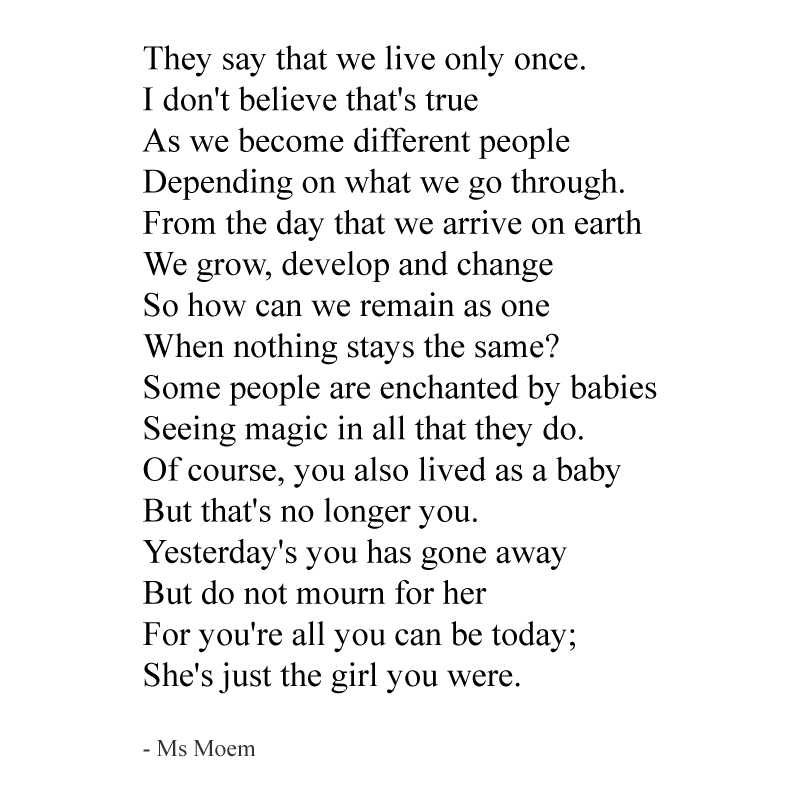 We Live More Than Once is a short poem by English poet, Ms Moem. This quote is a snippet of a poem I wrote. I decided it might suit being jazzed up with a bit of illustration, and watercolour at that! I’m still very much in beginner territory when it comes to watercolour painting, so I am quite pleased at how it has turned out. It has already inspired me to create more along the same line, so I hope they might be well-received. 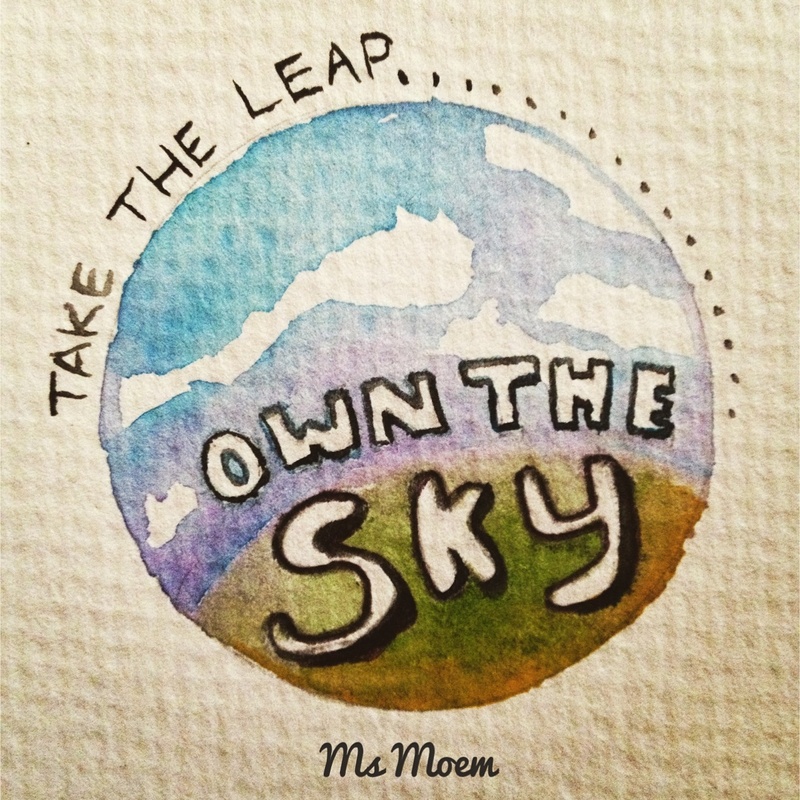 There’s something terribly therapeutic about painting and I really enjoyed being creative in a different way, so along the same theme as the poem quote above, if there is something you want to do or try, take the leap and give it a whirl! As it forms a coccoon. Or does it know it’ll be a butterfly soon? Make the transition and never look back. 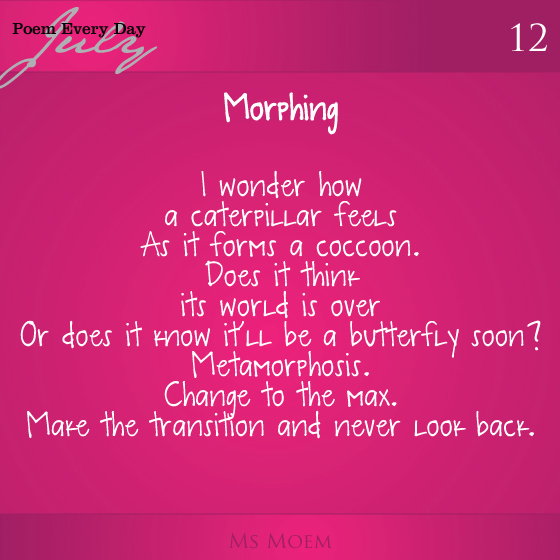 Morphing is a short poem about change by Ms Moem. This is poem 12 of my #DailyPoemProject. This is post 82.5 of 100 blogs in 100 days.